By Amy Tokic, Editor of PetGuide.com. You’ve heard the rumors and myths surrounding rescue dogs, and they may have prevented you from adopting one of these furry fellows. We’re here to clear up some of the popular misconceptions and convince you why bringing home a rescue dog may be the right choice for you. 1. Dogs end up in a shelter because of behavior problems. 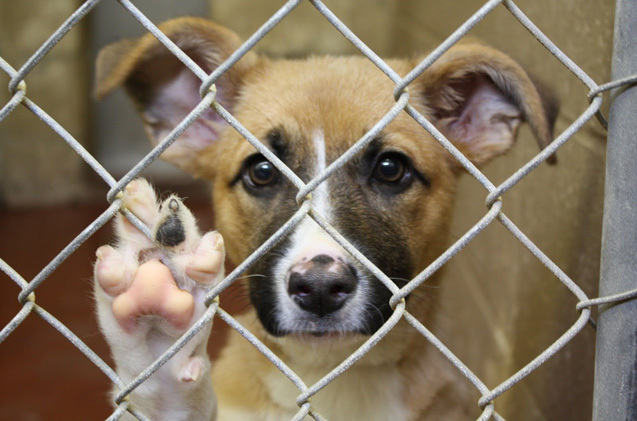 There are many reasons why a dog ends up at a shelter. Perhaps the owner died or moved somewhere that wouldn’t allow pets. It could have been a stray or born on the streets when it was found and brought in. Or perhaps the previous owner just didn’t have the time or patience to dedicate to a dog. Real behavioral issues usually make up a small portion of rescue dogs in a shelter, and these dogs are not put up for adoption. 2. There are no purebred dogs at the shelter. Shelters have its share of mutts (and we have nothing again mutts – we love them to bits), but you’ll find that about a quarter of the rescue dogs are purebred. If you have your heart set on a purebred, you should try a breed-specific rescue group. There are plenty out there that focus on just one breed or type of dog. Just Google your favorite breed, along with the term “rescue group” and a location (city, state, province, country) and you’ll be treated to a list of breed-specific dog rescues close to you. 3. Rescue dogs are unhealthy and sick. Again, another untruth. Dogs that are taken in by shelters are given a complete health exam by a veterinarian before being put up for adoption. If a dog does have any medical problems, you’ll be told about them upfront. 4. Abused rescue dogs don’t make good pets. A dog that’s been abused has so much love to give. These dogs can make a full emotional recovery in the right home, as long as you provide the right care and attention. In fact, an abused dog is so happy to be rescued you’ll find that your new pooch is much more devoted and loyal to you and your family. That’s the biggest misconception out there! Older rescue dogs in shelters will impress you with their ability to learn. Dogs are incredibly adaptable. All they need is some guidance, patience, love and leadership from you. Once they have that, prepare to be amazed with how fast your dog picks up new habits and tricks. Amy Tokic is the Editor of PetGuide.com. With the help of her trusted sidekick, Oscar, PetGuide.com covers all the latest dog news, events, information and products that pet parents need to know about.